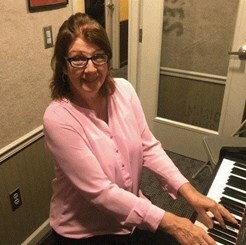 Debra has been teaching the piano for 30 years to children and adults, beginners through advanced students. She teaches with enthusiasm, sharing her love of music. She incorporates music theory and singing (if applicable). She is empathetic to individual musical needs and will create a customized lesson around these needs and the interests of the student. Debra earned piano teachers diploma from Trinity College of Music in London, England, where she performed for the Musical Examiners. She studied with Walter Schoeder, Honorary Fellow at Trinity College. Request Lessons with Debra today!